As we were getting battered by day upon day of rain last month, a few of our sponsored athletes, namely Susanne Buckenlei, Hans Daugaard and Eva Bohrer, were out at a training camp in Fuerteventura. Obviously we're not jealous at all. The first camp is in the box already, and it was a good time, even if the weather was not what we are used to in Fuerteventura at that time of the year. More rain and sometimes heavy wind! Me (Susa) and my company were running the Power2max training camp in cooperation with Hannes Hawaii Tours, which meant that we were organising and scheduling the sportive program for the triathlon camp, teaching participants how to train more effectively. Hans was mostly there to teach running skills and video analysing, with some talks about how to run faster. Eva did the drills in the athletic workouts, whilst we all guided the groups on the bike, at the same time managing to get in our own training time. We´re lucky that we can run our camp in the sport resort of Playitas, which is based next to the sea between two mountains. It offers amazing views and great opportunities for trail running, and with the big mountains of Fuerteventura not that far away you can be sure that there's a lot of quality rides out there. One of the cool things for sure is the 50m Olympic pool, where even the athletes who prefer running and riding in the sun (me?) love to have a swim. But, still the best bit is the wide open sea, complete with clear blue water, which is already quite warm at that time of the year. We had some good swims – even if we still had the big grey shark, the one they took out of the water in May last year, in our mind. I don't think it´s even necessary that this big guy would have to bite me, as soon as I spotted it I would be scared to death anyway. Training under adrenalin was guaranteed. The 3 weeks went by much too quick and so we had to leave our “Team Planet X Ger Vivienda” already. We had a good time together and all of us seemed to have done the first step to a better 2014 than 2013. All back to training – happy and thankful. 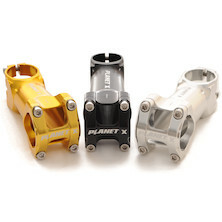 Also much thanks for the support from Planet X because for sure we had the best bikes out there.